Published by Crown Point Press. 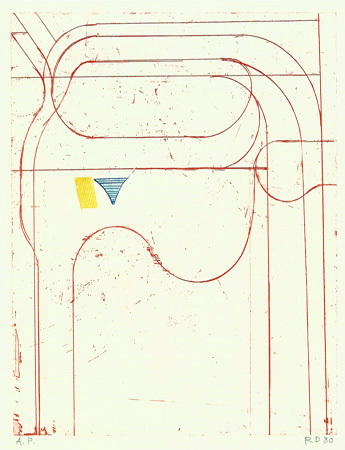 An Artist's Proof; with the important provenance, Estate of Richard Diebenkorn. This is a color softground etching with spit bite aquatint from the Ocean Park Series.